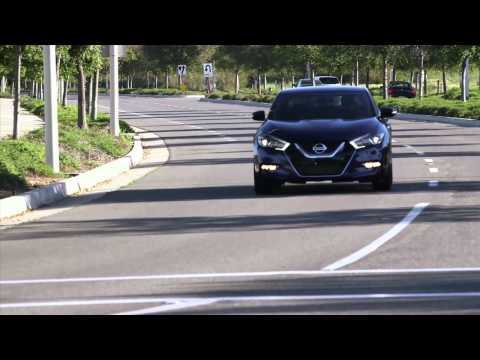 The new Maxima is priced from about $33,000; however, you'll need to spend a few thousand dollars more to get into the Maxima SL or more expensive models, the only ones to offer the advanced safety technology we routinely recommend. The 2016 Nissan Maxima locks in an arresting shape and charming front-drive road manners, in its quest to distance itself from the Altima. As Nissan's Altima grew in size and stature, mainstream buyers wondered why the nearly-identical Maxima commanded a higher price. Luxury buyers, meanwhile, could get more style and prestige from an entry-level Infiniti. With the 2016 Maxima, Nissan hopes to clear up a years-long corporate identity crisis. Design is critical to the Maxima's success, and this new one has lots of flair. The production model looks a lot like the show car on which it's based, starting with a trapezoidal grille crowded by chunky, angular elements that seem more appropriate to an SUV than a sports sedan. Boomerang-shaped headlights complement the geometric theme. Aggressively sculpted lines at the front and rear fenders emphasize ready-to-pounce muscularity. A relatively high sill line kicks up even higher at the back door, where it dovetails with the downward slope of the fastback roofline. Blacked-out A- and B-pillars, and horizontal strip of black trim at the C-pillar, give the roof the appearance of a floating canopy. In three-quarter view, the Maxima's dramatic contours give it an almost lithe appearance. In profile, however, when the undulating curves seem to flatten into character lines, the sheetmetal's proportions can look bulky and stubby—rather like those of a sleek crossover. Of critical importance, though, is the fact that no one will mistake the 2016 Nissan Maxima for its workaday Altima stablemate. A heavily updated 3.5-liter V-6 produces 300 horsepower and 261 pound-feet of torque. It's linked to a continuously variable transmission (CVT) with wide gear ratios and a shifting logic that gets more aggressive when the throttle is held open. It also anticipates the need for acceleration in high-G cornering. There are two driving modes: Normal and Sport. Front-wheel drive—and the lack of an all-wheel-drive option—keeps the Maxima from stepping on premium Infiniti toes. This is a Nissan, after all. There's a fully independent suspension, disc brakes all around, and 18-inch aluminum-alloy wheels as standard, with 19-inch variants on some models. Nissan has positioned the SR model as a serious performance car by deleting the moonroof on the grounds that it lessens rigidity. The SR features paddle shifters, and reduces high-frequency vibration from its sport-tuned suspension with a chassis damper like that used in the 370Z NISMO. 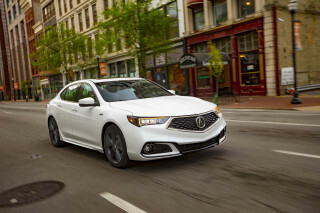 We've spent all our time in the sporty SR so far, and think it's made the upgrades and updates it needs not just to distance itself from the Altima, but to put itself in the same consideration set as the Acura TLX and Lincoln MKZ. The Maxima has excellent ride quality even with summer tires and 19-inch wheels; very good tracking, even if its electric power steering is lacking for feedback; and gutsy acceleration that isn't hamstrung by its continuously variable transmission (though trust us, Nissan, we're ready for a dual-clutch Maxima any time you are). The Maxima's sporting theme continues inside with a cockpit-styled dashboard that orients controls to the driver and a flat-bottomed steering wheel. It's a capacious interior, with firmer front sport seats that are aimed for country roads versus interstate slogs. Back-seat room is hardly changed from the Altima, and that's a good call—the amount of head and leg room for 6-footers will leave them comfortably seated for hours between Starbucks stops. Standard features at the base level include a navigation system, automatic climate control, a rearview camera, keyless ignition, remote start, SiriusXM capability, Bluetooth connectivity, and an eight-way power seat for the driver and four-way power for the passenger seat. The SR gets Alcantara seating inserts and aluminum sport pedals. Top-spec Platinum models come with NissanConnect, a subscription-based telematics program powered by SiriusXM with three tiers of service. Notable features are automatic collision notification and a stolen vehicle locator; the Premium plan adds functions like remote start and door lock/unlock; Premium Plus brings concierge services and more. The most dramatic Maxima feature (for SL and Platinum) is a dual-panel panoramic moonroof. Heated and cooled seats, an 11-speaker Bose audio with active noise cancellation, leather upholstery, LED projector headlights, and ambient LED lighting are also available as buyers move up through trim levels. There are no stand-alone options. All Maximas come with the usual safety features, including seat-mounted and roof-mounted side-impact airbags. But most of the available driver assists require an upcharge: forward-collision warnings, adaptive cruise control, drowsy/distracted driver alert, automatic emergency braking, blind-spot monitors, and rear cross-traffic alerts. The federal government has already crash-tested the Maxima and it's achieved top five-star results in all primary areas and it's a Top Safety Pick+ by the IIHS. There are five trim levels: S, SV, SL, SR, and Platinum. Standard only on the SR are a few performance-oriented safety features: active trace control, which applies braking to each wheel so the car stays on the corner line as steered; active engine braking that uses the engine to slow the car to the desired speed as the driver applies the brakes; and active ride control that smooths body movement over bumps in the road. The Maxima earns 22 mpg city, 30 highway, 25 combined. 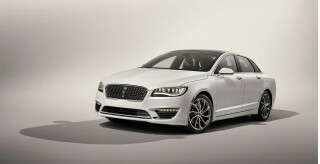 No other powertrain versions are offered or expected in the luxury sport sedan. There's a lot of Murano in the new Nissan Maxima's fenders and floating roof—and it works. For the idea of the Maxima to work, Nissan had to distinguish it from the lower-priced, more mainstream Altima sedan that shares its architecture and its powertrain. It's succeeded: the extravagantly styled Maxima looks nothing like the handsome Altima, with an almost quirky flair that's global in appeal, if a bit thick in some passages. The angular, chunky look of the new Maxima plays differently as you walk around it. The big grille and boomerang headlamps are by now Nissan hallmarks; from the rear, the tall tail gets disguised somewhat by the appearance of the roof—some parts of the rear pillars are blacked out, so that the roof appears to float. From rear-quarter views, the dramatic sculpturing of the Maxima's fenders captures every photon of light, almost to the point of distraction. And yet from the side view, the Maxima looks less ready to pounce, less muscular. It gets long but thick in the middle and tall at the ends--a view that favors the crossover that also shares its architecture, the Nissan Murano. Nissan doesn't forget its heritage with the formerly subdued Maxima, though—it's etched its long-ago tagline "four-door sports car" in the headlamps and taillights. Inside, it’s as different from the Altima as fraternal twins can be. The Maxima’s cockpit wraps around the driver more tightly than the Altima’s cabin, and the details say “sport sedan," from the flat-bottomed steering wheel to the glints of metallic trim across the dash. All Maximas get a large 8.0-inch touchscreen framed by simple secondary controls; it's a substantial-looking set of controls that's more adventurous than the Altima's very conservative center stack. It's still front-drive and CVT, but the 300-hp Maxima makes the most of the parts bin with very good big-sedan handling. Parts-bin cars can sometimes get a bad rap, unless they make significant and meaningful improvements over their stable-mates. 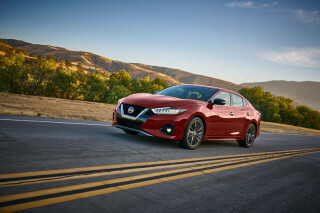 That's clearly the case with the 2016 Nissan Maxima, which splits off neatly from the related Nissan Altima with V-6-only power, and more of it, as well as a more capable ride-and-handling setup. There are some strong family traits shared between the two, though. The Altima's optional V-6 engine gets reworked for the Maxima. The 3.5-liter V-6 engine is the only one offered on the more expensive sedan, and it's distinctive for its higher output, mostly—it's rated at 300 horsepower now, and 261 pound-feet of torque. It's a new offshoot of a relatively old engine family, and thus Nissan's played with its aural qualities by damping out harsh noises with active noise cancellation and acoustic glass—and by amplifying the happier noises into the cabin. It's an audio fix found on many of today's newer cars, and something we wish could be adjusted from the cabin. The Maxima's engine at full throttle ventures into the too-loud zone—though it's accompanied by quite brisk acceleration. The Maxima weighs about as much as a new Camaro and has similar power, so we expect 0-60 mph times in the six-second range—an estimate clearly backed up by the Maxima's gusty hustle away from stoplights. It's a willing partner in crime looking for a more sporty transmission. Nissan's continuously variable transmission (CVT) gets paddle shifts in some Maximas, and a Sport mode that quickens its responses, but it's still a CVT. It uses belts and pulleys to wend its way between gear ratios, instead of shifting between fixed gears. As a result, even the Maxima's programmed "gear" steps roll fluidly into one another, but the pace of changes is slower than a snappy dual-clutch gearbox would be. The Maxima's also still a front-driver, and has moderate torque steer on launch; nearly all its direct rivals now offer all-wheel drive as an option, while ordinary family sedans as prosaic as a Subaru Legacy make it standard. With a fully independent front strut/rear multi-link suspension, disc brakes all around, and 18- and 19-inch wheels, the Maxima acquits itself well when the road turns from flat and straight, to hilly and curvy. If you're seeking something that takes an even sharper handling tack, you'll want to spend time in the top Maxima SR, the version we drove through the Tennessee hills. The Maxima SR has the tautest suspension setup of the range, with its own shock and stabilizer bar spec, monotube rear shocks, paddle shift controls, the bigger wheel and tire package, and available summer tires. It drops the sunroof—Nissan says for lower weight and better body rigidity—and gets a chassis damper to stop the stiffer setup from transmitting too much of the bad kind of road feel. On the Maxima SR, Nissan also tweaks the braking system so that the car slows the engine down and applies brakes to take corners better. Equipped with all the edge the order sheet can muster, the Maxima is still just on the right side of firm. Drive a Lincoln MKZ without adaptive damping (which the Maxima also doesn't offer) and you're likely to come away more impressed with the Nissan's well-balanced ride. What's even more appreciated is the Maxima's clean tracking: recent Nissans and Infinitis with big tires are known for bump-steering their way over rough pavement, but the Maxima takes a set and keeps focus, with very little of the wandering and bump-steering that makes long interstate rides and back-country touring equally tedious. The Maxima's seats are good, interior space great, and fit and finish are a worthwhile leap over the related Altima. 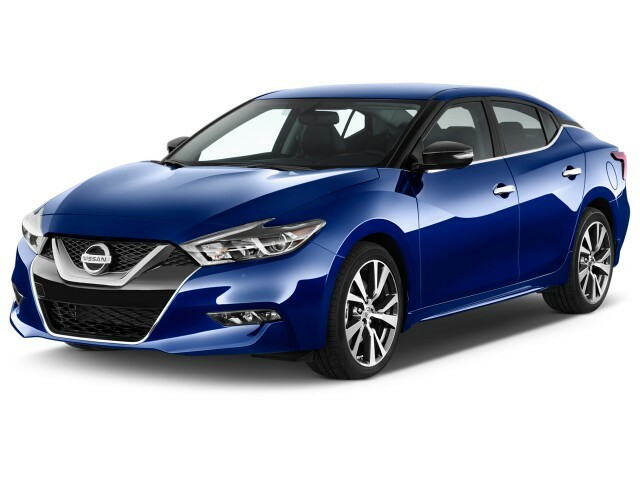 The 2016 Maxima is a spin-off of the Altima family sedan, albeit a very handsome and more sporty one. The Maxima offers up similar interior space and features as the Altima, and that means it's absolutely suitable for carrying up to four adults in its comfortable seats. By the numbers, the Maxima rides on a 109.3-inch wheelbase, sits 56.5 inches high, and is 192.8 inches long. That's some 2.2 inches longer and 1.3 inches lower than the previous-generation Maxima, even closer in size to the current Altima—they share the same wheelbase, though the Altima is a little more than an inch shorter overall and marginally higher. The Maxima weighs in at about 3,500 pounds from base to, er, maximum trim—right in line with the Altima as well. 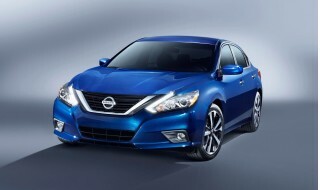 The Maxima takes the comfort of the Altima quite seriously, but gives it a more athletic spin. The Altima's front chairs have what Nissan suggests are NASA-inspired seats; the Maxima uses the same high-density-foam construction, but adds a lot more bolstering to make very supportive, even overly firm chairs for the front passengers. They're more tightly fitted, with more bolstering on the bottom cushion and the seat backs. They might feel a little less comfortable on long interstate trips, but for back-country detours, we're sure the Maxima's bucket seats are superior to the less defined Altima ones. Power front seats are standard on the Maxima in cloth or leather; heating and ventilation are standard on some trim levels. The Maxima packages a lot of rear-seat room into its spacey outline. That floating-canopy roofline disguises a lot of it without impinging on easy access to the back bench seat. We wouldn't want to be the middle passenger between two adults—in that space, head room and seat support are lacking—but the outboard spots are a great place to be driven, even for tall passengers. Trunk space is generous, too, and the Maxima has lots of little storage pockets and bins throughout its cabin. Attention to detail is part of what Nissan hopes will sell the Maxima versus the Altima, and it has it. Some versions sport Alcantara trim inserts on the doors and steering wheel, even quilting on the leather seats. The cupholders are sized for small and large drinks, and there's a large pocket for holding cellphones, located right along with the USB port for charging and connecting your phone. The 2016 Nissan Maxima has top safety scores, there is an important side note, however. Federal testers have given the Maxima five stars in every category, including frontal crash protection. Federal testers noted that in early models of the Maxima fluid from the fuel system leaked during crash testing, which prompted Nissan to recall and fix those systems. The IIHS gave the Maxima top "Good" scores on every test and noted its frontal crash prevention was "Superior" when optionally equipped. That earned the agency's Top Safety Pick+ award for 2016. All 2016 Maximas come with the usual airbags and stability control. To get the latest safety technology, you'll have to buy a Maxima SL, Platinum, or SR. Those models add forward-collision warnings with automatic braking, adaptive cruise control, drowsy/distracted driver alert, and blind-spot monitors—and they're not available on lesser trim levels. The Maxima SR also gets some nifty programming that uses stability and anti-lock sensors to help the car corner better. It can clamp on a brake rotor to tighten a cornering line, cut power to the engine to assist in heavy braking situations, and applies the rear brakes after the car goes over a bump, to settle the ride on the smoother pavement that follows. Standard features are impressive with the new Maxima; some savvy safety features remain options. The 2016 Nissan Maxima is sold in five different versions: S, SV, SL, SR, and Platinum. The base price of about $33,000 brings with it a lot of standard features, including power windows, locks, and mirrors; cruise control; climate control; remote start; a rearview camera; navigation; satellite radio; an AM/FM/CD player with Bluetooth audio streaming and two USB ports; 18-inch wheels and all-season tires; and an eight-way power seat for the driver and four-way power for the passenger seat. On the SV Maxima, Nissan adds heated front seats; leather upholstery; and front and rear parking sensors. The Maxima SL gets a panoramic sunroof; 11-speaker Bose audio; a forward-collision warning system with automatic emergency braking; adaptive cruise control; blind-spot monitors; and ambient lighting. The new, top Platinum edition gets a power tilt/telescoping steering wheel; surround-view cameras; memory mirrors and seating; woodgrain trim; and NissanConnect smartphone-connected data services. Finally, on the Maxima SR, there are all the mechanical changes outlined in our Performance section, as well as quilted leather-and-Alcantara seats; ventilated front seats; an Alcantara-trimmed steering wheel; shift paddles; LED low-beam headlights; 19-inch wheels and all-season tires; and the choice of summer tires. Outside of these models, the Maxima is not offered with any options, which simplifies the assembly process. Nissan does offer after-factory accessories, including a spoiler, splash guards, and kick plates. Fuel economy is a strong suit for the Maxima, with up to 25 mpg on the EPA combined cycle. 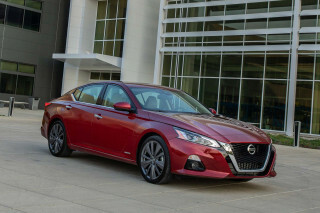 The 2016 Nissan Maxima has been rated by the EPA, and the numbers are only slightly lower than the V-6-powered versions of the related Nissan Altima. By comparison, most of the Maxima's competition fare better than it does—and some fare worse. 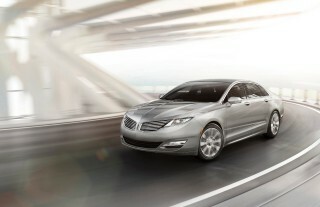 The Lincoln MKZ comes in Hybrid trim with an EPA combined rating of 40 mpg combined; with a V-6 and all-wheel drive, the MKZ's combined number drops to 20 mpg. 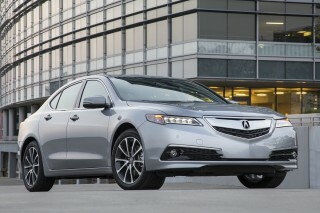 The V-6-powered, front-wheel-drive Acura TLX matches the Maxima's 25-mpg combined figure. Nissan's own Altima, meanwhile, outpoints the Maxima by 1 mpg on the combined cycle—and offers a 4-cylinder model with a class-leading 38-mpg rating on the highway cycle. CVT still does not belong in a Maxima, needs a DSG or 6 speed manual transmission. It would be worth the extra money. Now the current CVT looks for the highest ratios for better gas MPG. If you're buying a... CVT still does not belong in a Maxima, needs a DSG or 6 speed manual transmission. It would be worth the extra money.